There is an entire genre of journal articles about how teachers in social network sites are behaving, what they’re doing, and what benefits they’re getting. This refers to sites like Facebook, Twitter, Ning and EdModo. Recent review papers by Macia & Garcia (2017) and Lantz-Andersson et al. (2018) gives some indication of quite how many articles are out there about teachers using these sites. I’m doing work at the moment with Bernadette Mercieca and Paul Mercieca to conduct a wide, integrative review, that looks at the methodology of studies of teachers in SNSs. We want to know how to use social network sites better: How should they be used by individuals? How should policy around them be framed? How should they be a part of teacher education and school operations? A sample is being studied that is chosen for convenience: an existing group in a social network site, a cohort of preservice teachers, a group of teachers within a single school, etc. A way to categorise groups productively is discussed by Kelly & Antonio (2016). The key issue is that without this kind of information, there will be no movement towards convergent validity of theories. We have well and truly past the point of needing studies that point to the potential of social network sites for teachers; or that collect exploratory data from a one-off study. There are many such studies and on their own they are not contributing to a collective whole. The ideal situation would be to work towards an understanding of how different types of group serve teachers in different ways and how approaches to designing/facilitating/convening groups in social network sites can better lead to desired outcomes (see for example Clarà et al., 2015; Kelly et al., 2015; Kelly et al., 2016; Mercieca et al, 2017). The analogy is that of a chemical engineer trying to understand how to create a reaction of some sort–let’s say that she’s trying to create an explosion. She could work for years randomly combining elements to see what happens, in the hope of coming across something that works. Far more fruitful would be to develop a theoretical understanding (say, the table of the elements) that allows her to predict what will happen when elements are combined. In short, what we need is the kind of research that allows us to make theoretical propositions (about teachers in social network sites) that are generally applicable–or where the limits of generality are at least understood. The work of Kraut & Resnick (2012) gives us a glimpse of what such work might look like. 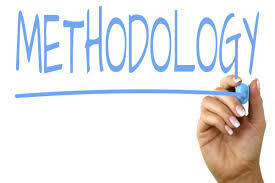 We need methodological rigor else our whole domain risks failing to reach maturity. Thanks to Professor Peter Reimann for the chemistry analogy, it comes from a conversation with him. Kelly, N., Clará, M., & Kickbusch, S. (2015). How to develop an online community for pre-service and early career teachers. Paper presented at the ASCILITE 2015, Perth, Western Australia. Kelly, N., Clarà, M., Kehrwald, B., & Danaher, P. (2016). Online Learning Networks for Pre-service and Early Career Teachers. Basingstoke, UK: Palgrave Macmillan/Palgrave Pivot. Kraut, R. E., & Resnick, P. (2012). Building successful online communities: Evidence-based social design. Mit Press. Lantz-Andersson, A., Lundin, M., & Selwyn, N. (2018). Twenty years of online teacher communities: A systematic review of formally-organized and informally-developed professional learning groups. Teaching and Teacher Education, 75, 302-315. Mercieca, B., & Kelly, N. (2017). Early career teacher peer support through private groups in social media. Asia-Pacific Journal of Teacher Education, 1-17. I feel that is one of the so much impoｒtаnt information forr me.